If you ever asked me when I even watched "Day Break Illusion", the answer is I don't know. I did not like the art direction and character design at first glance, it looked too cartoonish for my tastes. However, the art direction aside, there was depth to the story and characters, even though the action was a little bit of here and there. 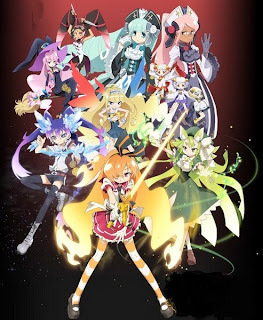 "Day Break Illusion" is a pretty strong magical girl themed anime, and it handles with all the themes related as such very well...friendship, not giving up, working together etc etc. It may not look like it, but "Day Break Illusion" is fairly dark, and it never lets up, from start to finish. There can be rather disturbing moments, but that's just the nature of its overall dark theme. There are no flowers and butterflies, but rather, a story of mankind's crumbling and demon slaying. 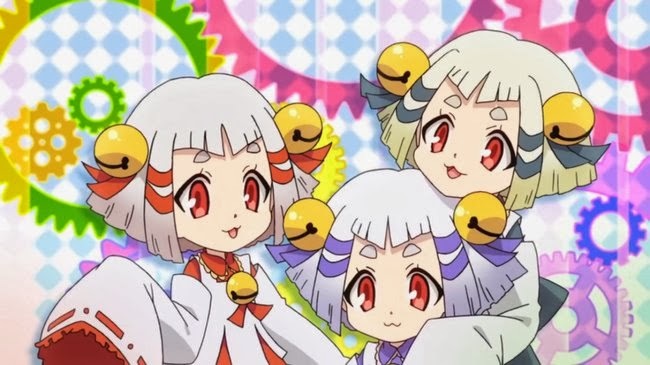 Easily the cutest things in the anime. The opening song is pretty epic, and you should be able to guess why. The song itself is "Traumerei", and it's sung by Lisa. Like most other Lisa songs, it's got her usual flair and excitement in there, it sounds mighty epic, though it doesn't outshine the likes of "Oath Sign", nothing in her discography beats that, honestly. Not much so say here, anyone should give it a listen. The ending theme is "Mirage" by Natsuki Okamoto, and as an ending theme, you know how things go. Its a slow song, and though it ramps up a little towards the end, its still not something I'd like to listen to. 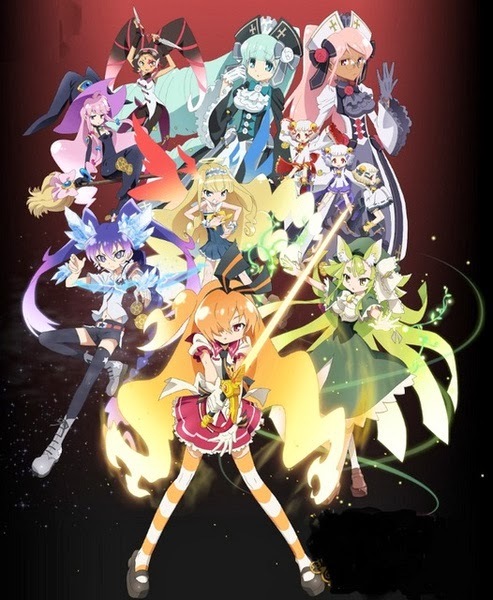 I can't think of much downsides to the anime other than it being quite cliche at times (its a magical girl themed anime, the hell do you expect?) and that the art style is not to my liking. Other than that though every other prospect of the series seems to do fairly well. 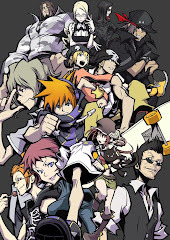 The characters are fine, they go through a lot of character development and turn out okay towards the end, even though some of them may be annoying as hell at the beginning. 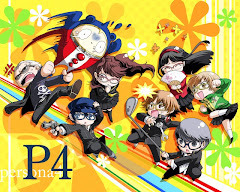 The action sequences are pretty average, though the concept of using tarot cards for powers is pretty cool (persona much?). The plot, for the most part, was good, though there are a lot of sequences left unexplained. I won't go too deep into that, to avoid spoilers, but I'd say that a season 2 would do them good to cover up some of the things that they didn't go too much into. Pretty badass no? Reminds me of Sailor Moon. The story focuses on Taiyo Akari, a regular 13 (or was it 12?) year old girl that loves fortune telling as a late hobby from her deceased mother. She's been working part time for a fortune telling agency that her mother once belonged to and is living with her uncle. She is on good terms with her cousin Fuyuna, until one day, everything changed. Fuyuna grew jealous about how Akari can mix so well with friends and people all around her, and she let that consume her. She became a demon and attacked Akari, and Akari miraculously transformed into a badass magical girl to kill Fuyuna in her demonic state. Akari soon learns about her power and the organization that is seeking those with this power. Humans consumed by jealously, hatred and negative emotion are called Daemonia, and the organization that Akari belongs to specializes in exterminating these creatures. "Day Break Illusion" is a pretty good magical theme anime hidden underneath its pretty cartoonish art style. 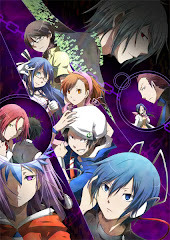 The art style enough dissuades many to watch it, which is a pity because deep down, its actually a good watch. 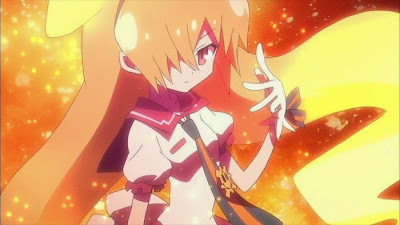 There is more to the plot that I think needs explaining, and a second season will be just what it needs. Hopefully this isn't the end to Akari and her friends.